South African poultry processor Astral Foods has posted higher sales and earnings, helped by new business, improved selling prices and lower feed costs. The company booked net profit of ZAR778.1m (US$54.2m) for the 12 months to the end of September, up from ZAR337.5m. Operating profit stood at ZAR1.1bn, compared to ZAR492.9m. The spike in profits came in part on the back of increased revenue, which grew 17% to ZAR11.27bn. Astral said it had seen a "material improvement" in profits from its core poultry division, which accounts for more than three-quarters of sales. Broiler volumes rose 12.8% thanks to the Quantum volumes incorporated into Astral's operations in the Western Cape. 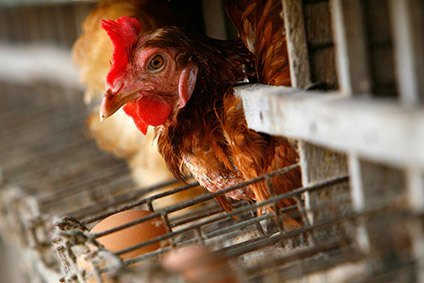 Average selling prices for poultry increased 11.9%, which Astral said tracked food inflation in the year under review. Headline earnings per share, a closely watched metric in South Africa, more than doubled from 864 cents to 2,016 cents. Looking ahead, Astral said there is "a strong likelihood" brining regulations will be introduced "in the foreseeable future", which the company claimed could result in lower volumes for the industry and higher selling prices for consumers. If the regulations were brough forward as proposed, they will likely be challenged by the industry, Astral said. The regulations, combined with the prospect of a quota of duty-free US imports under the renewal of the African Growth and Opportunity Act (AGOA), could lead to "further consolidation" in the industry, Astral added.